Two years ago today Carrie Fisher died. 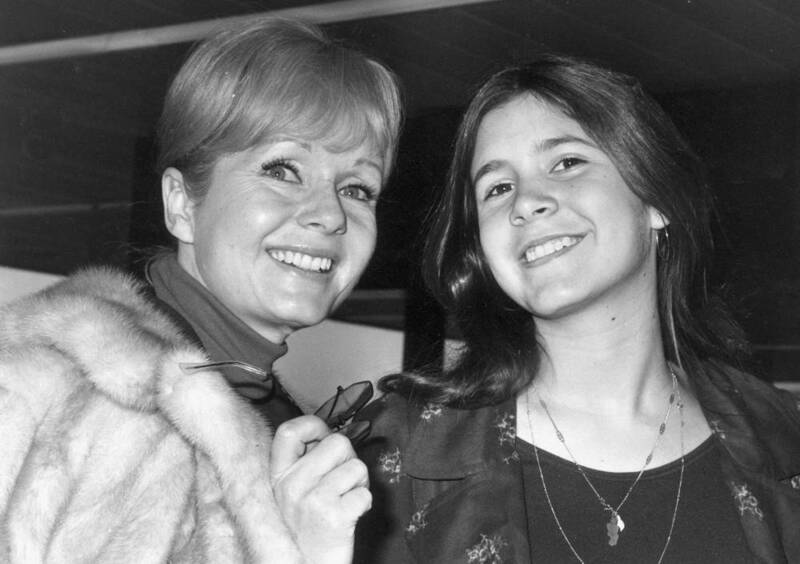 Her mother, Debbie Reynolds, died the following afternoon. For many, this coincidence was interpreted as a sign of their close, almost other-worldly connection. Stories reporting their deaths described a bond deeper than most of us could imagine. Headlines purported a “Beautiful Love Story” and it was comforting to think of Princess Leia singing in the rains of Heaven with her raincoat-clad mama. But biographies and autopsy reports have lifted a veil of illusion and we now understand that mental illness and drug use were painful, underlying issues. We also know that Debbie Reynolds had been coping with health issues for years and the stroke that ended her life was not entirely unexpected. Stories about dying of heartbreak have given way to more complicated tales of resentment and regret, addiction, and bipolarity. Despite being close at the end of their lives, we now understand that the mother-daughter duo had lived most of their lives estranged and over the course of a decade had only spoken twice. As social creatures we have a need for narrative. Some say storytelling is what makes us human, that it’s in our DNA and is essential to survival. Our lives make more sense to us when we’re able to fill in the gaps. “Story of my life” — we say. We like a clear beginning and ending. We like to bridge the gaps and tidy things up with a bow. I recently saw this 1963 photo of the two and a sense of peace washed over me — maybe this is the Beautiful Love Story? 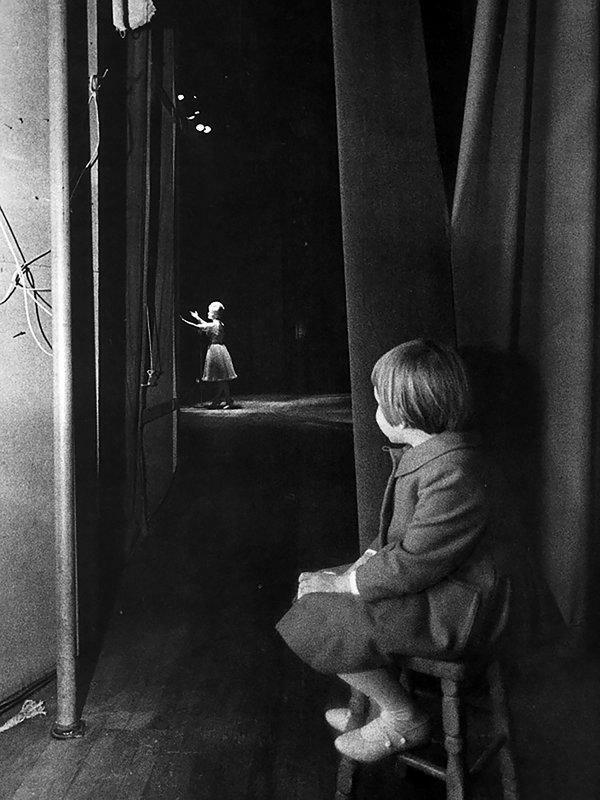 Young Carrie sits alone, watching her mother perform on a stage in Las Vegas. Despite the vicious cycles that ultimately trapped them, the serenity of this photo suggests a simpler version of their story — a time when they functioned independently instead of in response to one another. It speaks to the freedom of autonomy, a life free from dependency. Mother focused on audience, daughter focused on mother, photographer highlighting the gap between the two. Those of us in the position of being both mother and daughter understand how this dependency grows. We see how easily the current can shift between admiration and resentment, between pride and shame. We know that mothering is difficult and daughtering is difficult. We find out that we’re often at our worst when we force ourselves into roles that don’t suit us. But we also know that, ultimately, we’re only responsible for ourselves. There’s liberty in learning to act instead of react and maybe the best we can do is figure out how to live with ourselves instead of living in response to others. Imagine a story in which families make the news because they’re dying to live together, instead of living to die together. A story that would allow us to sit with the gaps, no matter how awkward or uncomfortable. A story that would shine a light on possibility, reminding us that we’re just as free to take center stage as we are to watch from the wings, mesmerized.